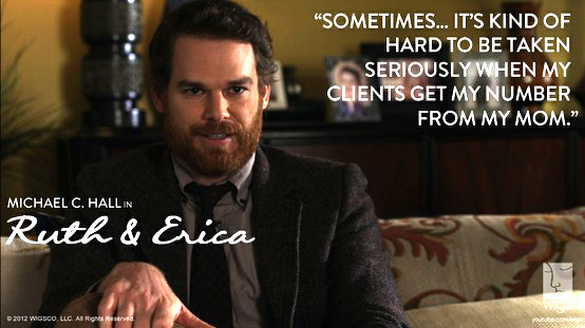 Via: darklydexter.com: Michael C. Hall will be in the new series produced by WIGS channel ‘Ruth & Erica’, according to WIGS Sizzle Reel who brings out shining moments from WIGS’s upcoming short films and series. More info coming soon. So far all of the WIGS shows have been very good. Looking forward to MCH's. FYI, WIGS is a You Tube channel.